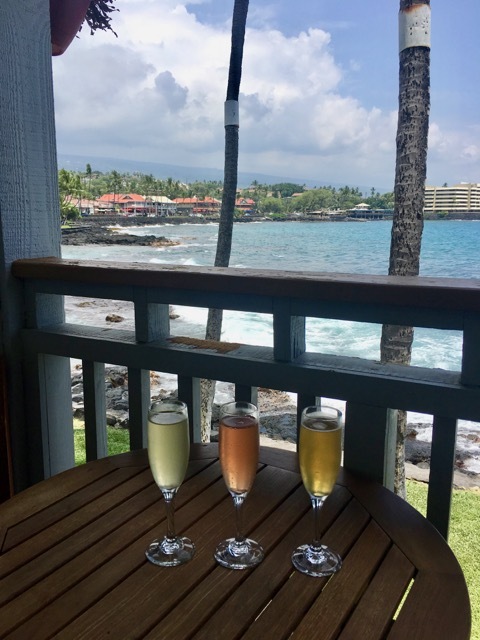 My Guide to Eating in Kona - Jenny Set Go! 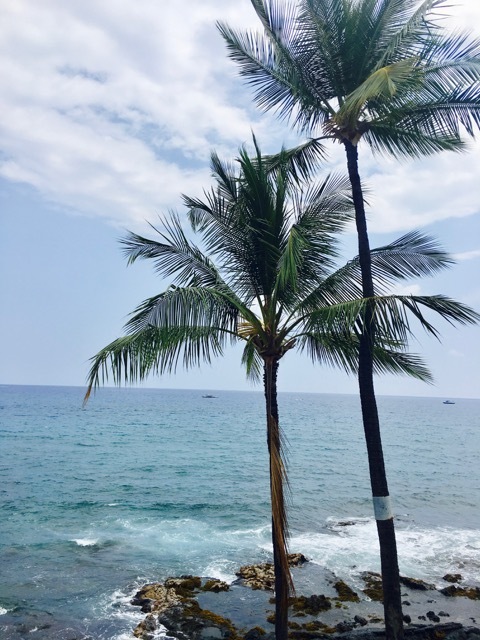 The Big Island is a beautiful escape to get in tune with nature while overloading on fresh fish, macadamia nuts, and Kona coffee. 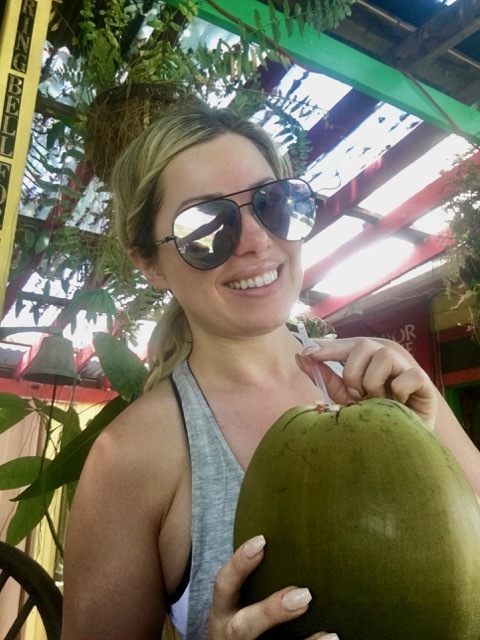 This island is perfect for adrenaline junkies (like myself), as well as those in search of some R & R. It’s quiet, slow paced, and there are plenty of quaint little restaurants to eat your heart out at in-between tackling your list of activities. Here were my faves! 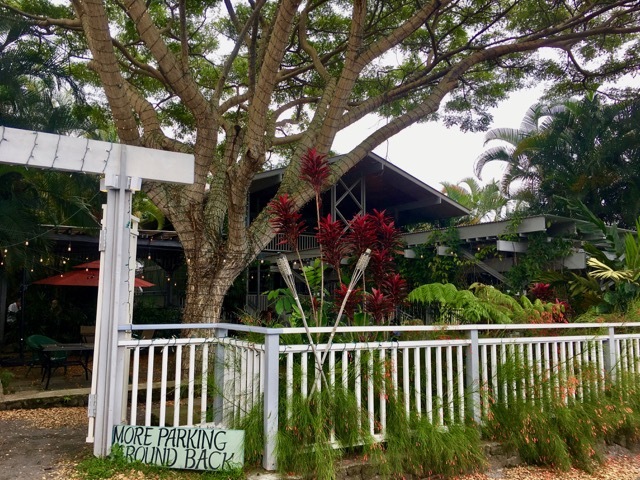 Just a short drive up the hill from Kona you’ll find a strip of old houses, hotels, and shops from the 1900’s making up the heritage district and artist community of Holualoa. 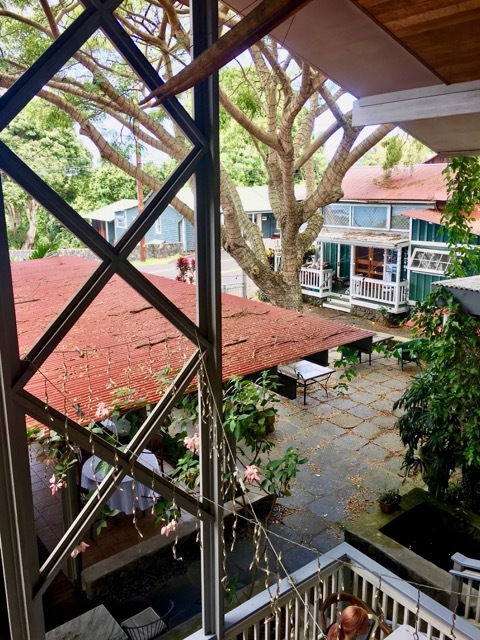 Here you’ll find Holuakoa Gardens & Cafe, set in a lush garden the entire restaurant is outdoors with an attached coffee house on the property. 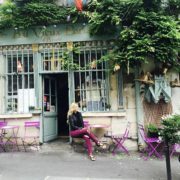 It’s a slow food restaurant; everything is made daily from scratch, and the menu changes often according to the season. 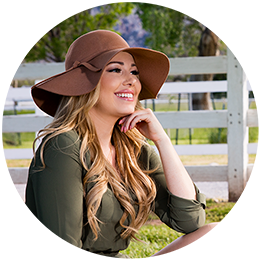 They use fresh local ingredients, organic, non-GMO, and grass-fed hormone-free meats. First, you’ll fall in love with the ambiance, and then the food will seal the deal! 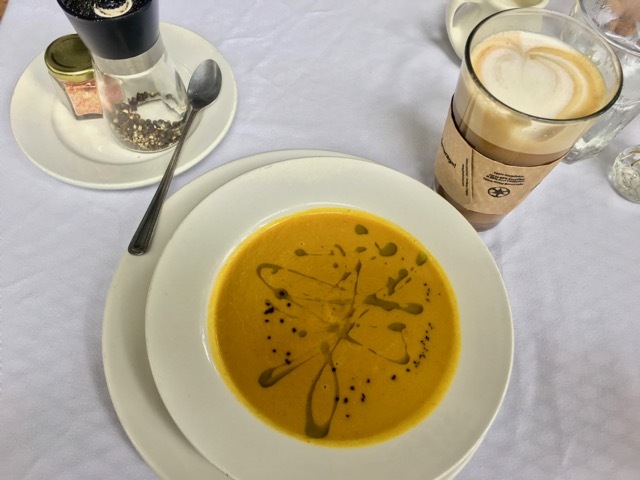 I ordered the Soup of the Day, and I cannot even to begin to explain how flavorful it was… the spices stood out on the tip of your tongue, it was so delicious! It was my favorite meal of the whole trip! Every dish has such depth to the flavors; you can tell they put a lot of love into their recipes. 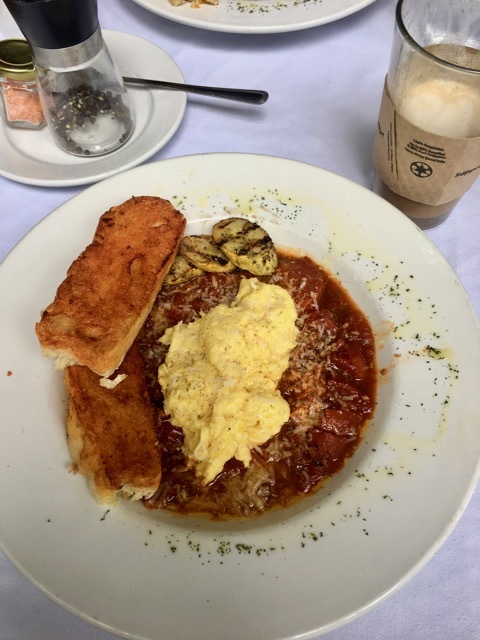 Take one look at all the food photos on Yelp, and you will be salivating! From Homemade Potato Gnocchi, Veggie Lasagna, Lobster Benedict, Huevos Rancheros, Pulled Pork on Slaw and Cornbread, Brisket, Fresh Local Fish of the Day, daily dessert options, Bloody Marys, Organic wines. I cannot recommend this place enough! And don’t skip the soup! According to Yelp’s top 100 restaurants, this little place came in #1! There are two locations; Kona and Captian Cook. They close at 6 pm, so plan on it as a lunch or early dinner. I would recommend going well before closing though; they don’t freeze or keep anything overnight and stop refilling the supply later in the day, so there are no leftovers. So if you happen by at 5:45 pm, as we did, you will have slim pickings of what is left. We opted to try it another day at an earlier time (and it was worth it!). 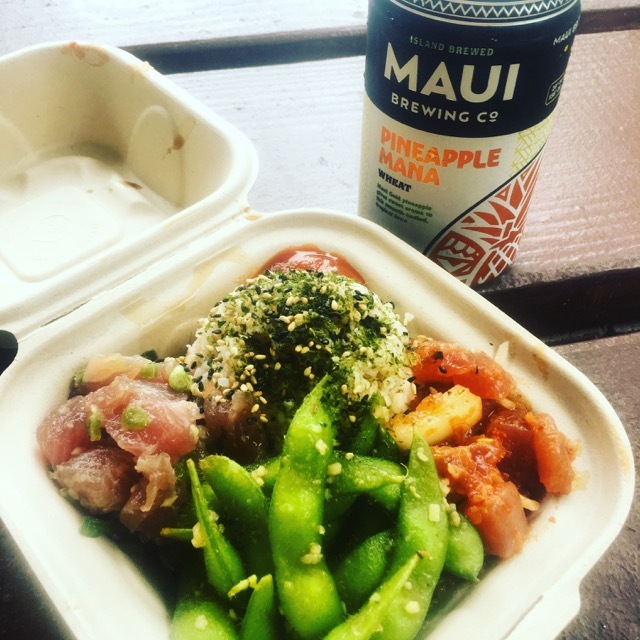 The Poke bowls are at Market Price (usually around $8), sometimes Yelp offers $1 off if you check in with their app! The Poke comes in varieties like Spicy Garlic Sesame, Wet Hawaiian, Pele’s Kiss (spicy with mayo), Shack Special (honey miso), and Dynamite. The sides change day to day but include things like Garlic Edamame, Seafood Salad, Calamari, Shredded Pork, Kim Chee, Mussels, Calms, Garlic Shrimp, Seaweed salad, and Honey Octopus. The fridge is also stocked with Hawaiian beers to complement your bowl. Outside there are two picnic benches; otherwise, you can take it to go (there’s a beach just a few minutes walk away). I do have to say; it was the freshest poke I have ever had! My one complainant? The bowl only comes with two different kinds of poke, and I wish I could have tried them all! 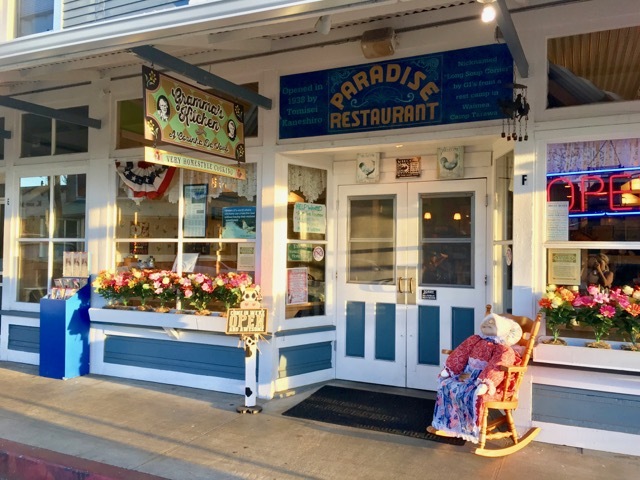 If you’re headed out to Captian Cook, then this little cafe should be a stop on your way! The Coffee Shack is perched on a hill with incredible panoramic views of over 26 miles of coastline. The seating is all outside on the deck lanai style. They are open for breakfast and lunch, or for just a coffee stop. The bread is made fresh daily, including Whole Wheat, Luau, Rye, Onion Dill, and French. 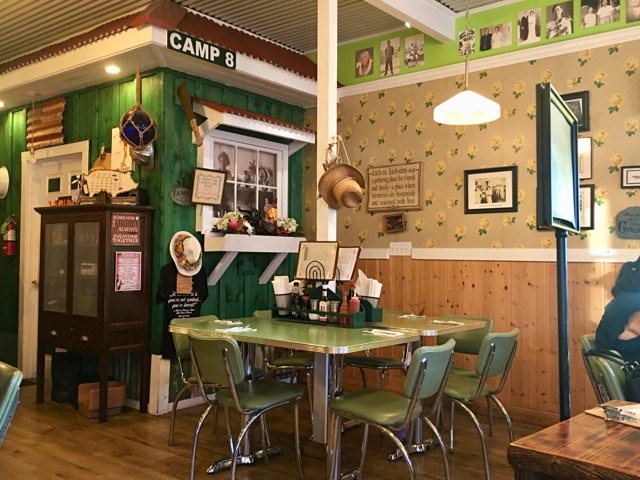 The menu consists of a variety of breakfast options; freshly made muffins, Pastrami Sandwich, Corned Beef Rueben, Chicken Salad Sandwich, as well as personal sized pizzas, salads, and desserts. Be warned the sandwiches are huge! The food is yummy, but even if your not hungry stopping in for coffee just to take in the view is absolutely worth it! 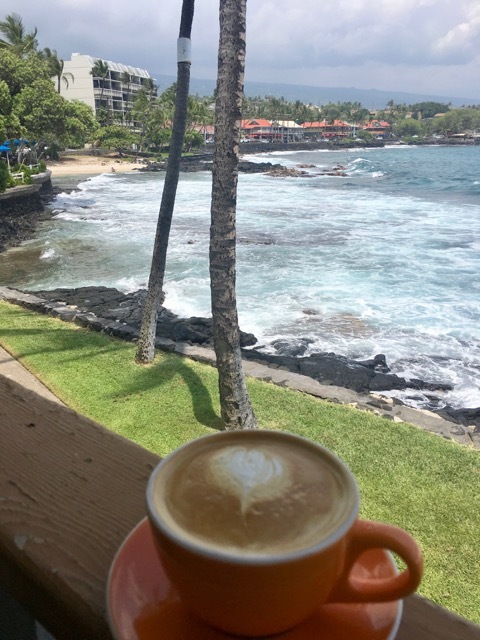 This coffee shop has more than one location on the island, but the original in Kona’s Waterfront Row has a killer view to add to your cup of joe. And there’s much more than coffee to be enjoyed here! 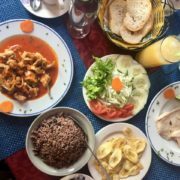 By connecting our sense of place with our sense of taste, we provide a dining experience that starts with cuisine and ends with cultural nourishment. There are two floors of oceanfront seating with a sunset bar on the second level. My favorite thing? The kombucha tasting flight! What an awesome way to keep the body nourished while on vacation! Other favorites included the Avocado fries, Moroccan eggs, and Fish tacos. And it just happened to be my favorite coffee on the island! Walking by Splasher Grill, it may not stand out to you compared to some of the other options in Kona’s Waterfront Row BUT let me tell you, come for the Fish Tacos!!! 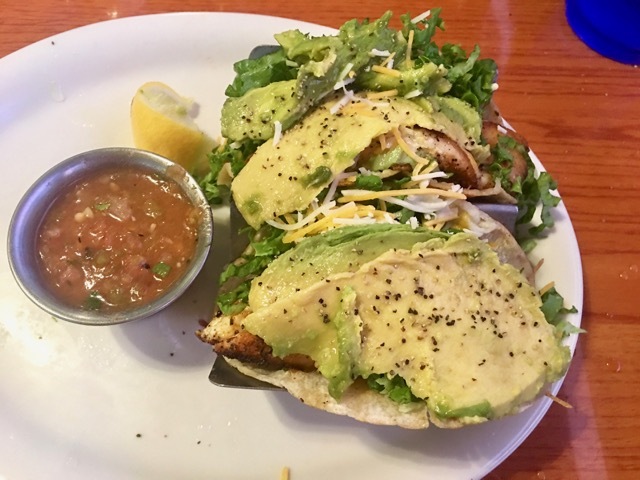 We were craving fish taco’s the entire trip, after seeing the pictures and reading the reviews on Yelp, we agreed these looked amazing. The verdict? They were by far our favorite fish tacos of the trip! We came back twice. Our server recommended we order them blackened with avocado, and I would highly agree! They also have good drink specials and are open late compared to most of the other Kona restaurants; serving dinner till 10 pm some nights. Nightlife is pretty nonexistent on the Big Island; this little spot might be about it. I suggest stopping here to try one of their cute crafted cocktails; I loved the Ginger Lychee Caipirinha! The entire list of drinks is creative and fun! They also have a small tapas menu with items such as; Croquettes, Deviled Eggs, Papas Bravas, a Charcuterie Board, and Quinoa salad. 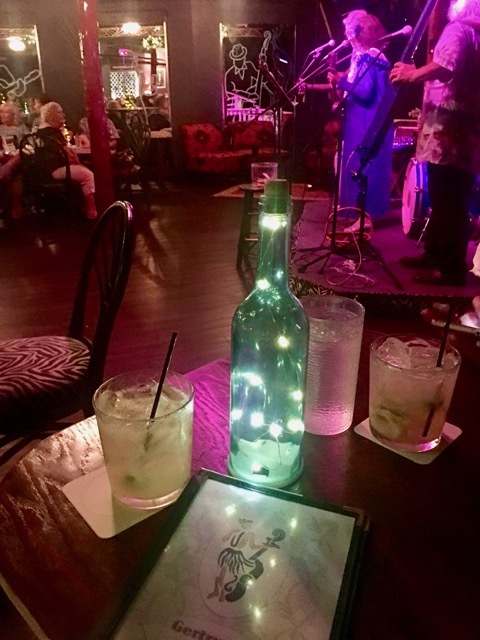 You can listen to live music almost every night of the week including Jazz, Traditional Hawaiian, Bollywood, Fuego, Country, and The Blues! The crowd was almost entirely cute couples over the age of 50, dancing the night away and learning the hula right next to us! Live Hawaiian music & yummy drinks! Heading to go hiking Pololu Valley? 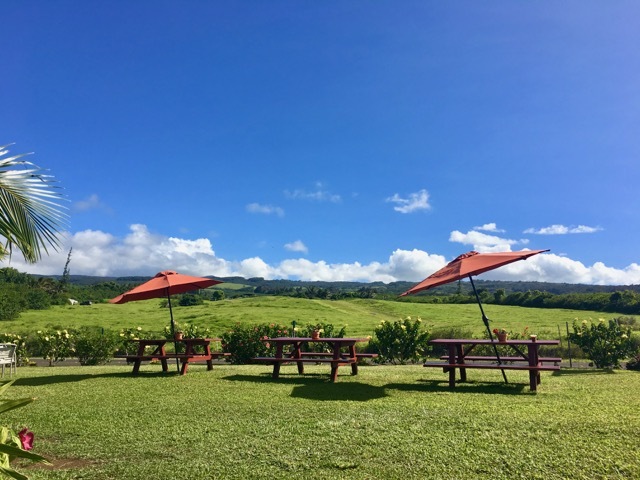 Be sure to stop at Makapla Store; an adorable roadside stop and the last place to grab food or drinks before getting to Pololu. 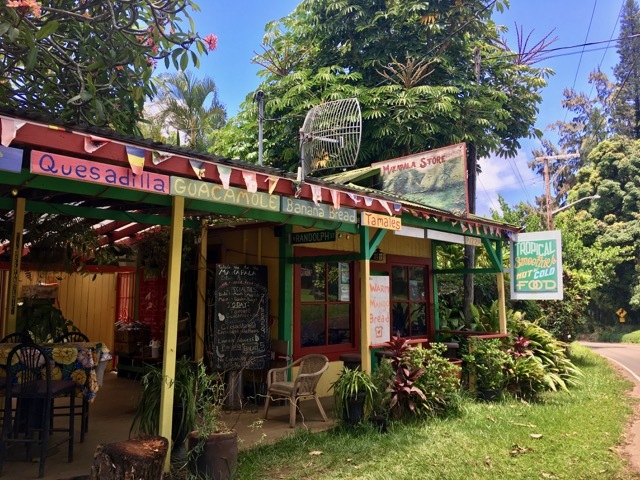 Their signature item is warm Banana Bread straight out of the oven, as well as daily specials including Empanada’s, Quesadillas, Tostada’s, Veggie Burgers, and fresh coconut juice right out of the shell! It’s a great little place to grab a snack before heading out to hike. 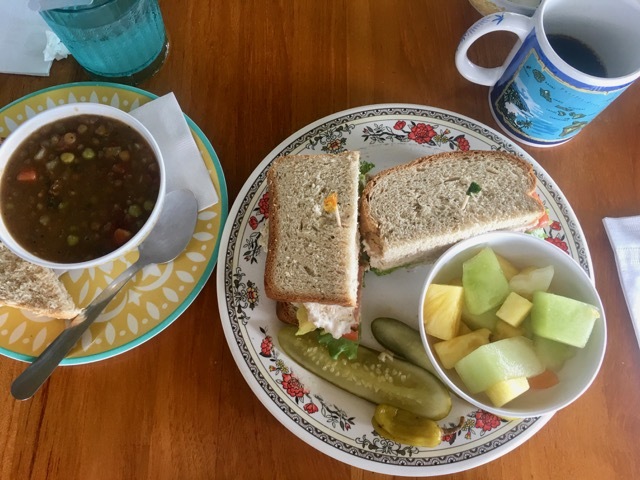 While in the Pololu Valley area, another great find is Fresh Off the Grid in Kohala. Talk about an ideal setting! 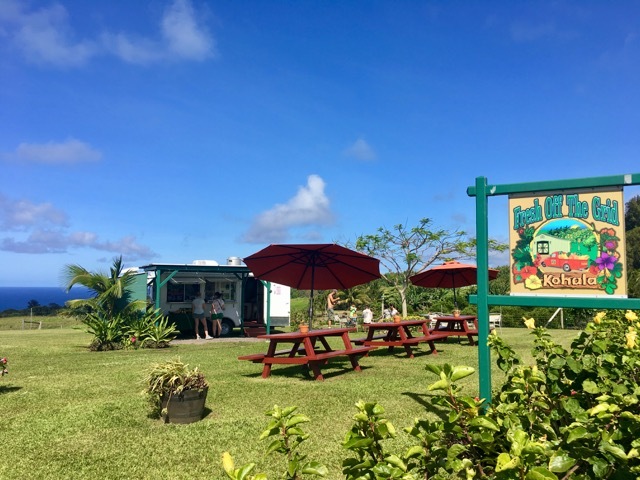 This little juice cart is in the most picturesque location, with an ocean view on one side and lush green hills from the other. They have picnic tables to sit at while you take it all in. Here you can get a juice, smoothie, coffee, or light snack. It’s worth a stop! 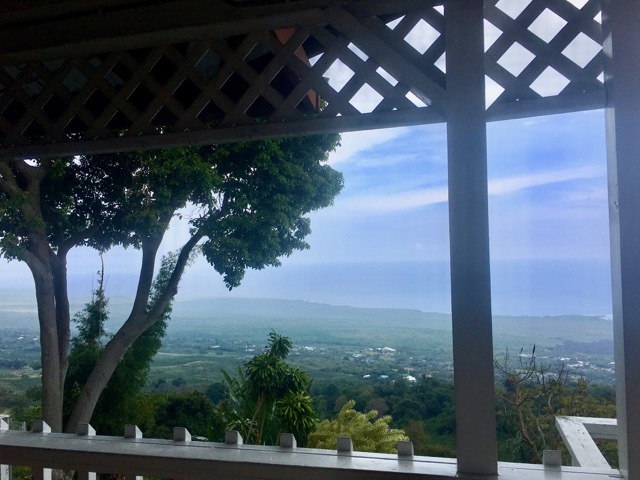 If you’re headed out to Waipio to hike or just see the lookout, be sure to make a stop by Grandma’s Kitchen in Honokaa. 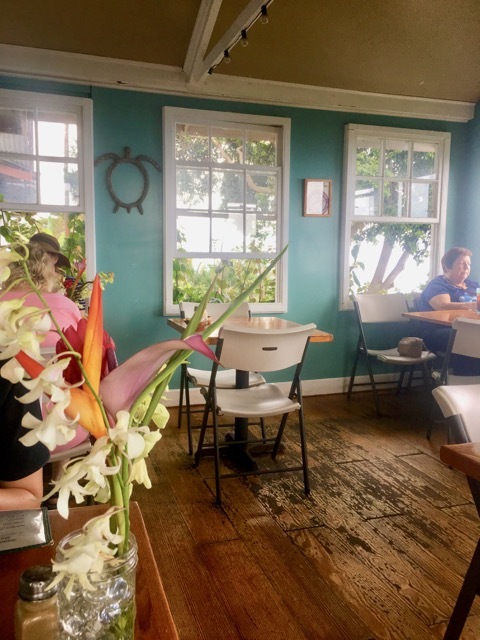 This quirky little restaurant is unlike anything else you’ll find on the Big Island. It’s completely decked out in a Southern Grandma’s home decor; we even got to meet the Grandma while we dined! 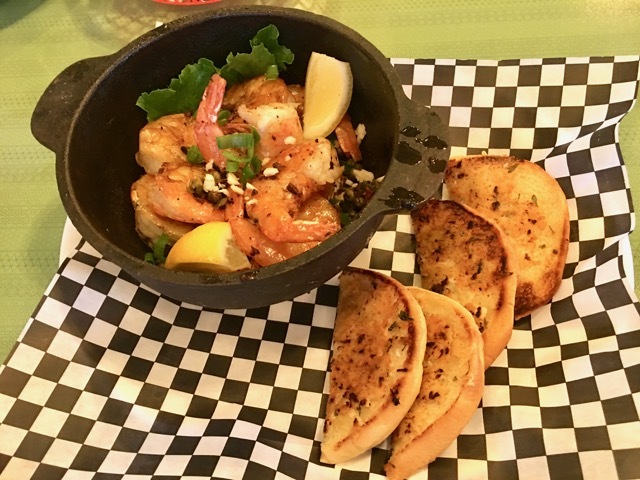 The menu is full of Southern specialties with a Hawaiian and Portuguese twist. From Fish and Chips, Macaroni Salad, Steak with Onions, French Toast, Crab Cake Benedict, Portuguese soup, to their Loco Moto Bowl. It serves big portions and good food! It feels like you’re eating a home cooked meal here, with no shortage of buttery goodness! And to finish it off they have homemade pies made fresh daily. According to the reviews, it’s hard to find a spot here at prime times. I can certainly see why; it’s a gem! I hope this guide keeps you full while you’re visiting Kona! Or encourages you to make a trip to the island! Do you have any other favorite places that I left off? Please comment them below!